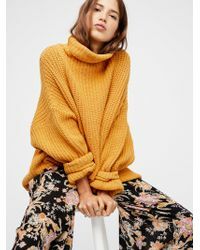 It’s always a good time to invest in knitwear, and the Free People Swim Too Deep sweater will make a stylish addition to any cold-weather wardrobe. 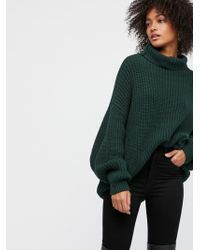 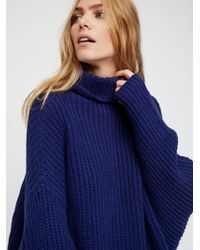 Crafted with a chunky Shaker stitch knit and a turtleneck shape, this oversized sweater is perfect for pulling on with skinny jeans and block-heeled ankle boots when the temperature drops. 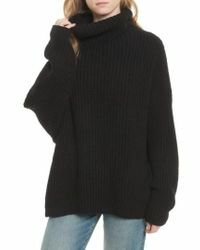 Choose from a range of colors, from bright-red and black to 70s-inspired tan-brown, and wear yours all winter.